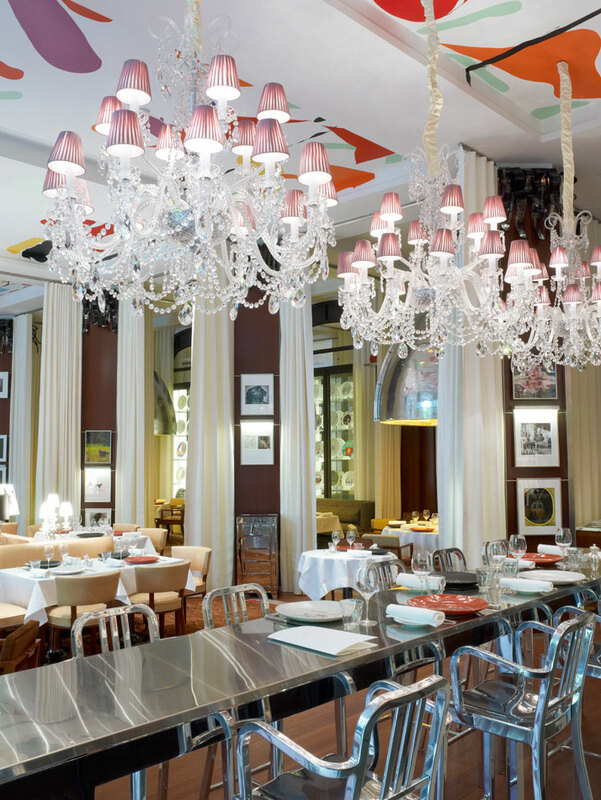 The monumental ‘Le Royal Monceau’ which served as a meeting point and accommodated highly influential guests from the art world closed its doors in 2008 for a grand refurbishment. Its artistic historic value is endless it welcomed people like Coco Chanel, Ernest Hemingway, Walt Disney, Ray Charles and the list goes on. Upon closure a sentimental auction was hosted for all furniture and loose items that decorated the interiors of this elite world. A world where poets would spend hours within these walls getting inspired, a world where writers would be lunching discussing and commenting on the latest publication and finally, a world where travelers would be drinking cocktails describing their journeys of the unknown. 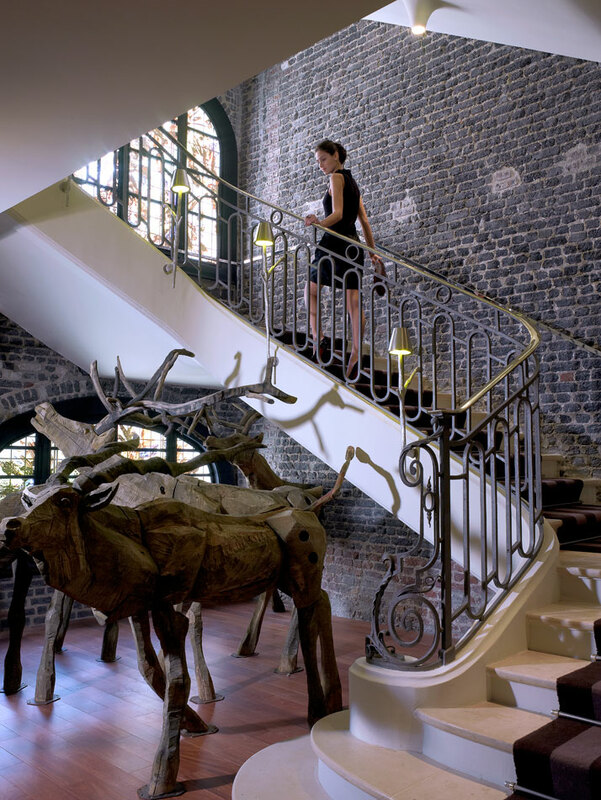 This is a hotel that can easily be described as an ‘artistic icon’, and when the doors closed with great ambitions and dreams for a new beginning, on the other side stood the figure that would bring all that back. Philippe Starck. 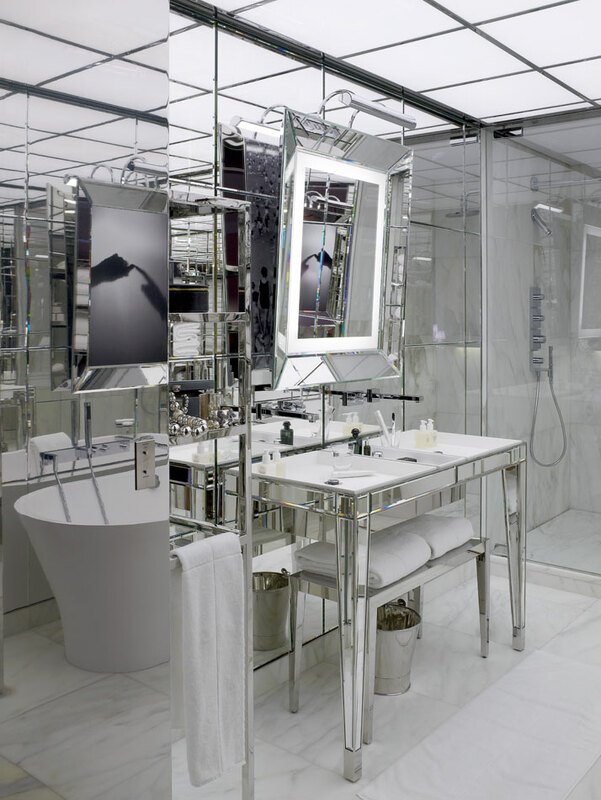 The great Mr. Starck wanted to create an interior were upon arrival you immediately feel the spirit of all those that have past together with their mystery, creativity and charisma. A space where even though you might be the first to arrive you get the distinct feeling that someone has just left living their poetic ambience behind. This project has been followed through with the same modern ideology like most hotels which have been designed these past years. An ideoloigty were a hotel is not just a place were you reside for a few days in your travels, but an interior world were it can easily be called an exclusive home, mansion or apartment with the privilege of a 5 star service. The concept was followed through carefully and successfully not reminiscent of anything that is not familiar to comfort, glitz and glamour. 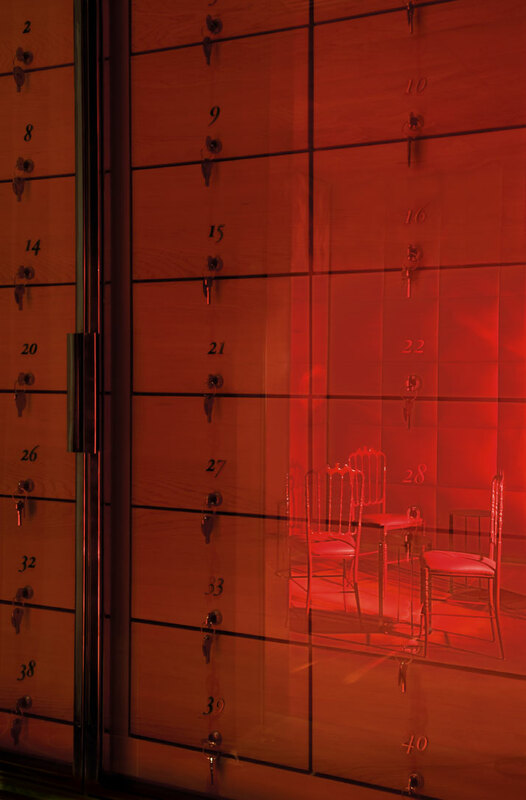 ‘Le Royal Monceau’ proudly hosts an Arts Library, Cinema, Le Bar Long, Spa, Conference Room, Apartments, Restaurant, Cigar Bar, Art Auction Spaces and Services that are beyond any artists imagination. 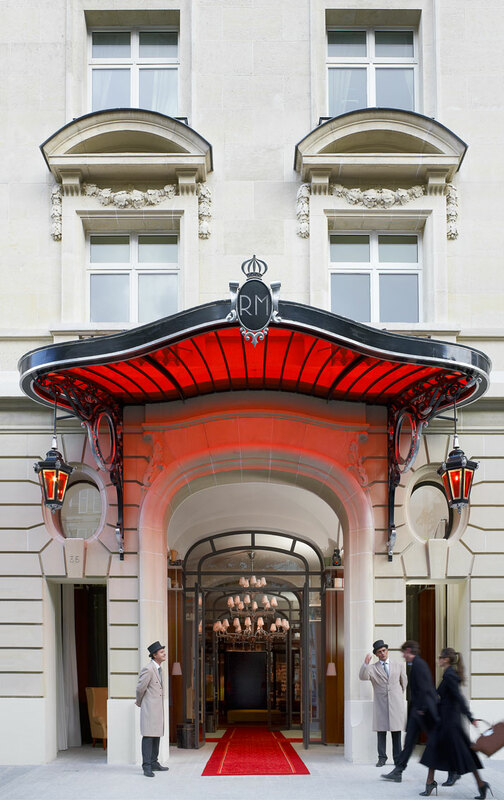 Click your starlet glitzy red shoes three times and ‘voila’ from the ‘Grand Salon’ you are at ‘Le Bar Long’. 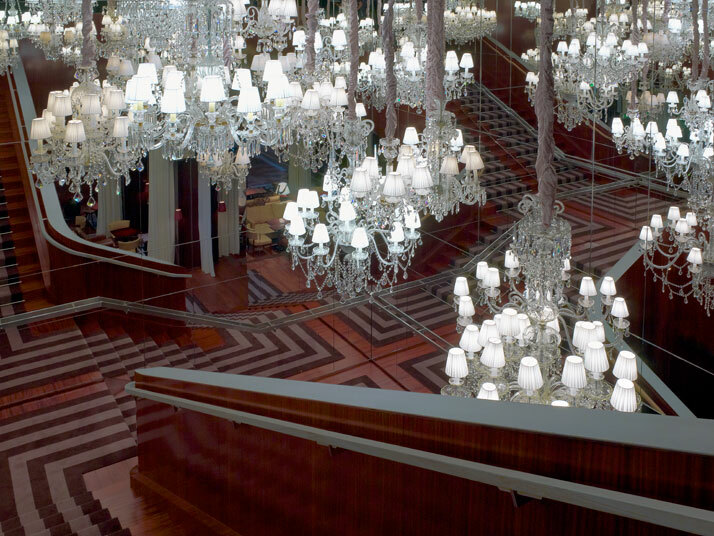 Located in the heart of the hotel it is reminiscent of the 1930’s nightlife with a mod essence of luminosity. 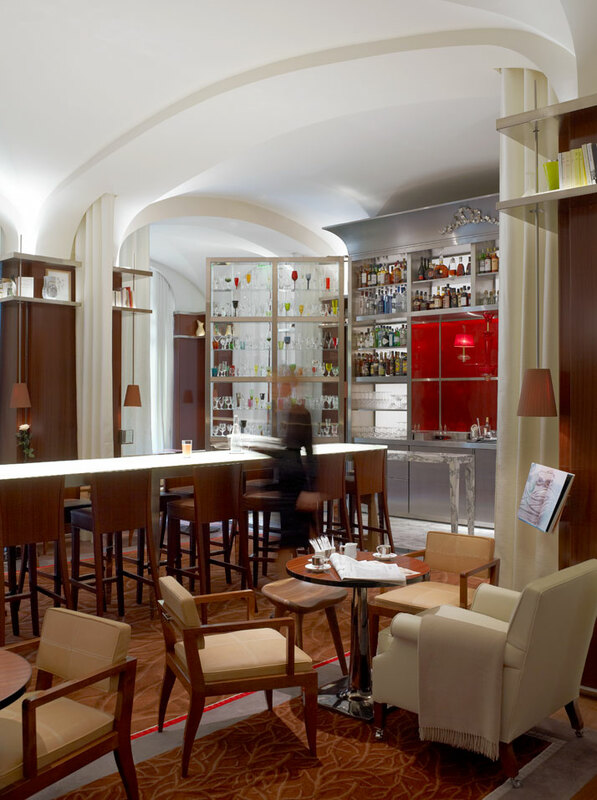 The repetitive bar frame is grand but yet simple in combination with the loose furniture portraying character and poise. 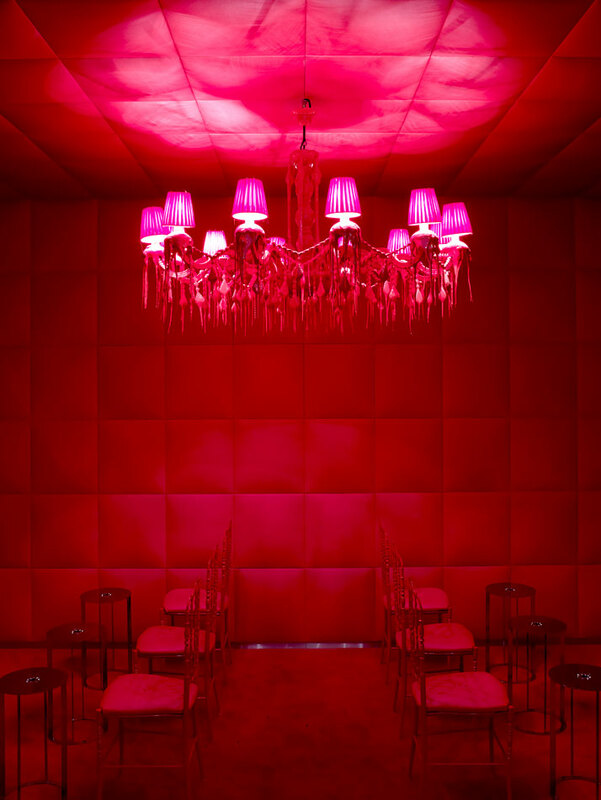 The color red plays an important role in the design. It is present with just an element of surprise throughout the public areas portraying humor, sexiness, uniqness and continuity. In the bar it is used as a sole vibrant element, but then click, click, click and we are in the overfilling, over coloring, passionate but controlled 'Red cigar room'. Red or Red and an art in itself. Another continuity of this red journey is present inside the private cinema screening. A most comfortable and privileged interior with light brown leather sitting and amongst them the most immaculate conception, a single red chair, or as we call it the Strack one out. 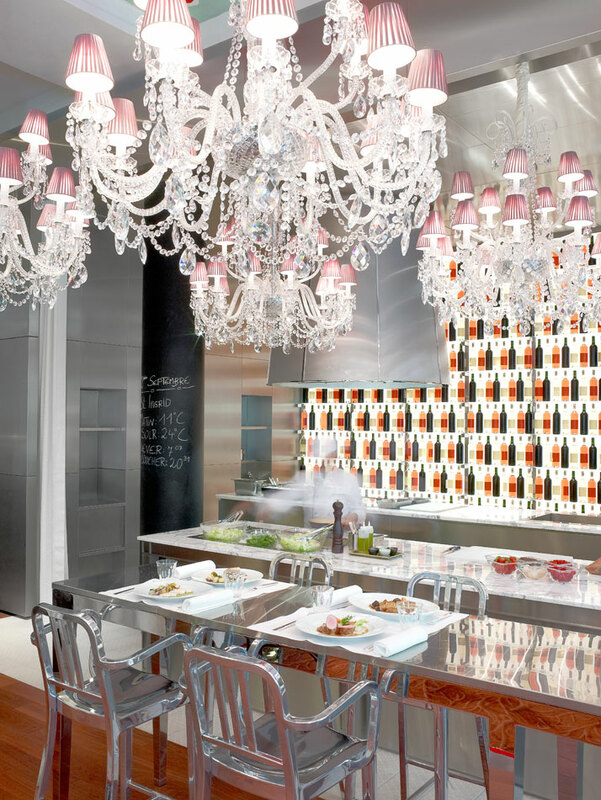 Everything is also Starck out in the open kitchen dinning area which was designed to celebrate the rituals of communion and conviviality. An interior were there is the presence of glamour and importance through the significant chandeliers while at the same time receiving a comfortable and acquainted feeling by the chalk written covered columns. 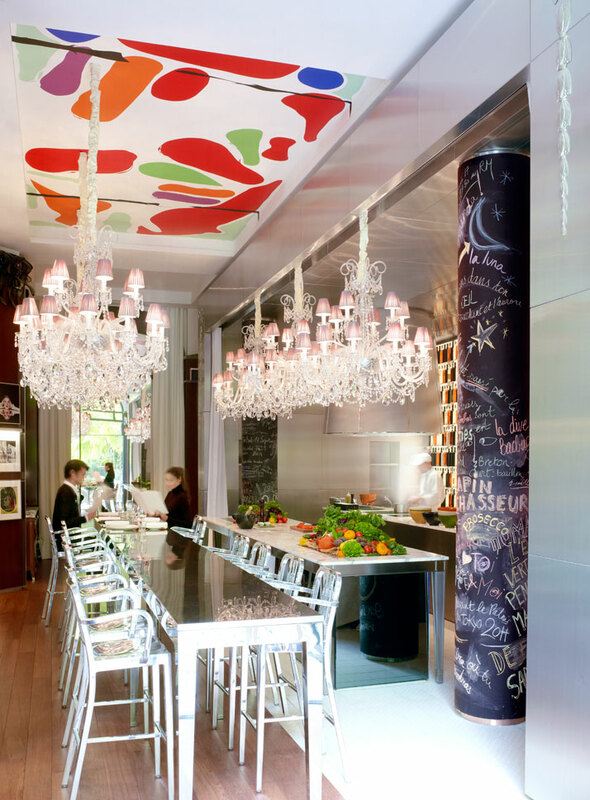 A great detail in this space is the ceiling Fresco created by the artist Stéphane Calais titled ‘A garden in Paris’. A piece that is enthusiastically playful and compliments the interior greatly. A completely new design approach is put to use in the Arts Library and the Restaurant. The library is finished with wood paneling throughout being interrupted by glazed openings. This has a respected seriousness and exclusivity through the use of the materials selected which dominate the importance of the books displayed. Here the jewels are the books, and if you were having breakfast at Le Royal Monceau this would be the jewel you would be looking at. As far as the restaurant is concerned there is nothing else you would rather look at then directly outside the glazing where ‘Le Jardin’ is exquisitely portraying the beauty of nature. 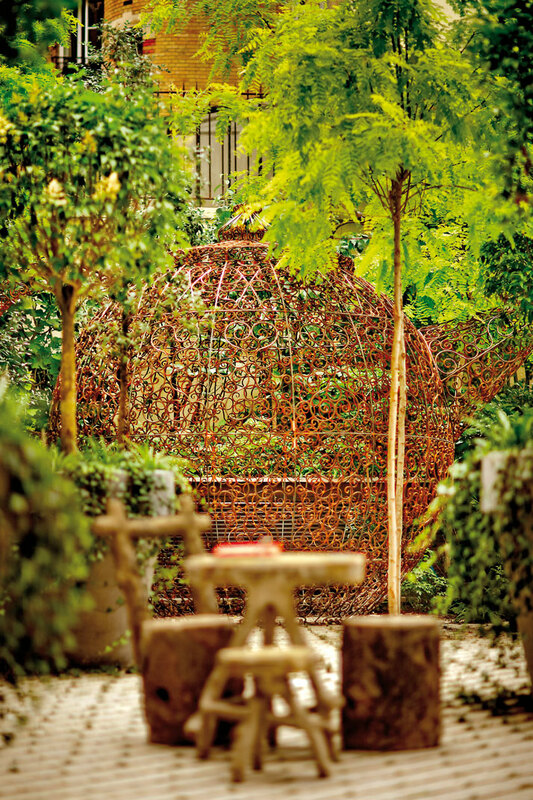 This garden has been designed by landscape Artist Louis Benech. According to the season nature takes its character and a whole new concept blooms. Majestic views and dreamy fairytales catch up with you while looking outside. The Alice Tea party is certainly ready to commence by the art work of Joana Vasconselos and no one here is ever late for their important date with the timeless iews of ‘le Jardin’. Gliding upstairs we have our favorite quarters. Bedrooms, Suites and glorious living. As an overall design the hotel is not enclosed in one design. Here there is a contrast with the public spaces, creating a sense of privacy. Once the elevator doors open and the guests’ step on to the corridor they immediately get acquainted with a boutique design. 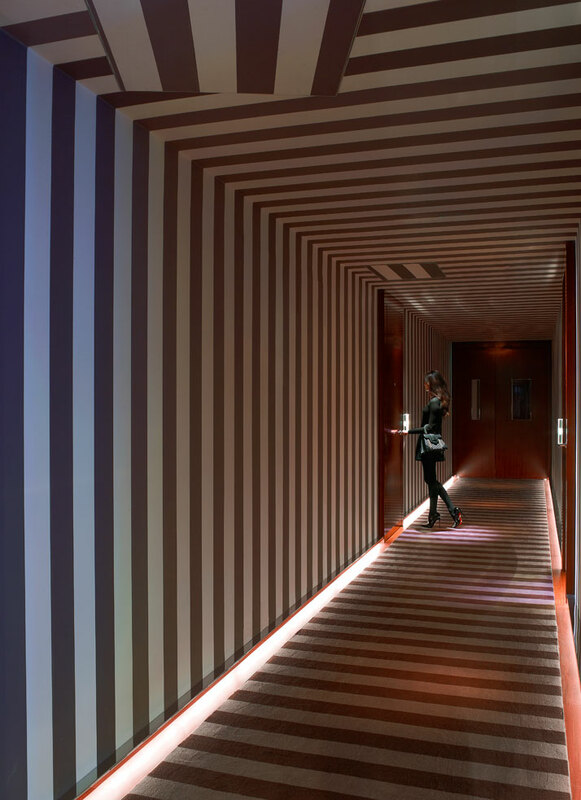 One of a kind stripes present throughout create an exclusive ambience brought out by the concealed floor lighting. The stripe continuation is part of the journey and the presence of the red perimeter floor and wall border is to remind you were you came from and make you feel at home. The hotel accommodates 85 rooms, 61 suites and 3 apartments. In all design types the spirit of the art world that has past has been carefully and respectfully retained. The rooms have been designed thinking of the traveler, the poet, the musician and the comforts needed for the inspiration to be sucked in. The very first element that was designated was the positioning of the bed. 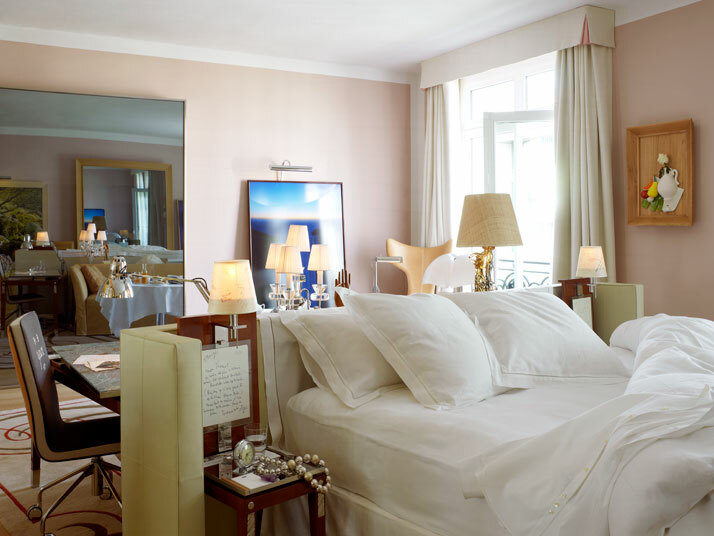 Phillippe Starck new that the guests wanted views to the outside, daylight stroking the corner of the bed, stationery being at arms reach from the bed, everything fulfils the artist’s needs and purpose. 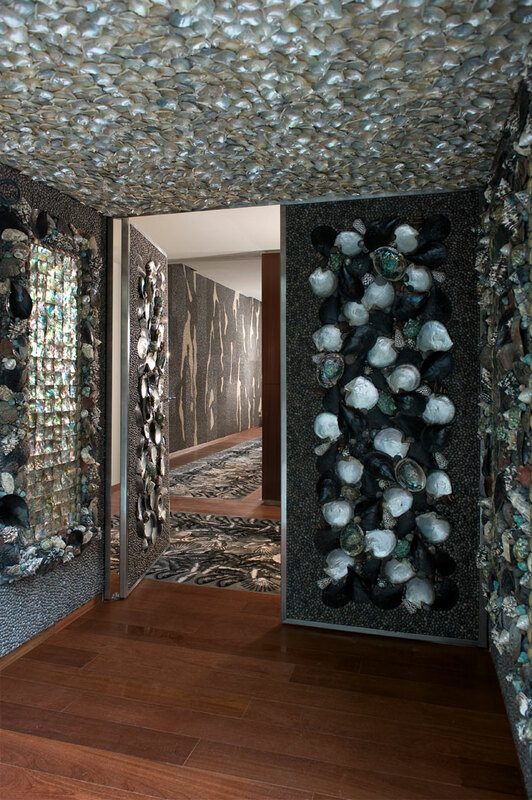 The most successful feature that represents elite glitz is the paneled mirrors. These are present throughout the hotel portraying an aristocratic feel and reminiscent of the great opera and theatre spaces. This atmosphere is also brought inside the sleeping quarters. The bedroom interiors are exactly like the design of a master bedroom. Exclusive furniture, warm finishes, delicate fabrics, practical necessities and details telling stories of the journeys’ that have been. Story’s told from the Murano Glass, the African masks and the written love letters. In the rooms there are exclusive guitars, made by the master Michael Lag-Chavarria. Whether a guest wants to serenade with a magical tune or take the opportunity to learn how to play an instrument while on their travels this hotel has no artistic boundaries offering lessons as part of their services. Now as a great musician should you wish to take your music to a whole new level ‘Le Royal Monceau’ can fulfill your request by providing mobile sound studios which can accommodate any room. This is not an art hotel just in words but in full actions. Of course this is not just with music. In all rooms and suites artists exhibit their work and guests have private viewings and the opportunity to purchase anything that inspires them. We like to think of it as an artworks gallery bedroom. Every detail in the bedrooms has been designed and selected to achieve the family home through the unique carpet motives, the palette on the walls warm and particular not neutral for everyone’s simple liking, the multi exquisite table lamp designs, the warmth of fur throws, the robust leather sofas all is put together and designed as if someone has been and will be living their indefinitely. A great goal was achieved with the completion of this project. A magical hotel was designed respecting the artistic past and at the same time opening its doors to the new artistic future creating greatness amongst legends. 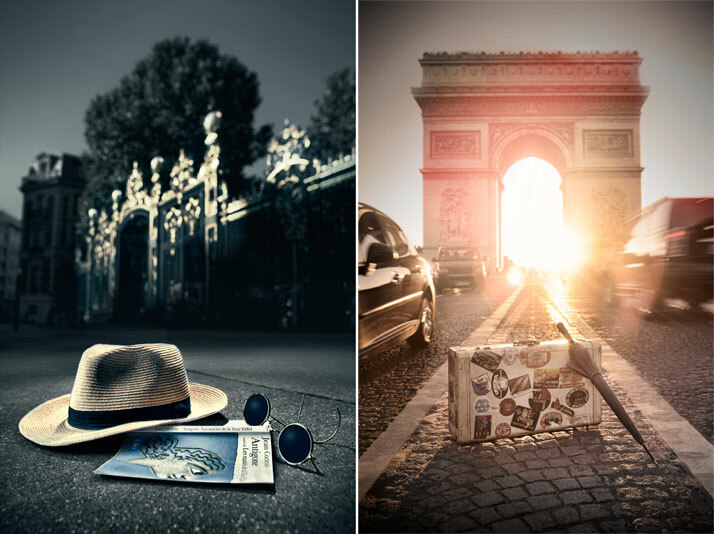 Opening the website of ‘Le Royal Monceau’4 characteristic words are brought to the screen ‘La Cle du Paradis’. 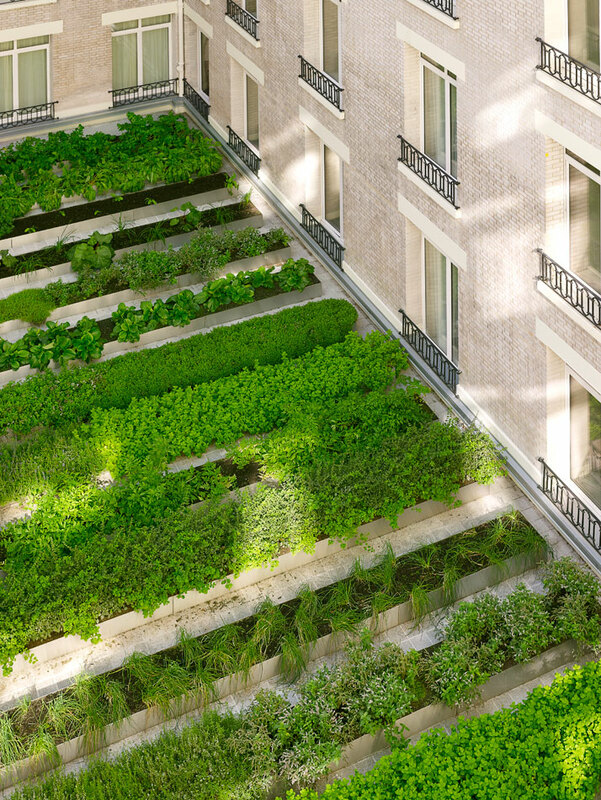 For any writer, poet, artist, musician, designer and all that is art, ‘La Royal Monceau' is not the key to Paradise it is simply home were paradise resides for all.